What Are Lions All About? 1.3 million Lions (men and women) in 200 countries and geographic areas conduct vision and health screenings, build parks, support eye hospitals, award scholarships, assist youth, provide help in time of disaster and much more. The Cucamonga District Host Lions Club was chartered in November, 1947. 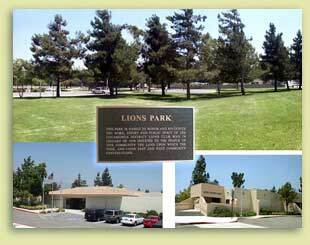 A permanent Landmark of this Club's years of service to the community is Lions Community Center and Park located on Baseline Road and Lions Street. This land and one building was donated by this Club to the Community in 1974. Our club name was established prior to the incorporation of the City of Rancho Cucamonga and so has "Cucamonga District" to designate our location. "Host" in our name is an honor bestowed on clubs who have established another Lions club. In our case, The Rancho Cucamonga Community Lions Club. We award scholarships to local high school graduating seniors, collect recycled eyeglasses, assist those in need in obtaining eye care and eyeglasses, hold an annual student speaker contest for high school students which promotes interest in public affairs and public speaking, sponsor a Boy Scout Troup, hold and participate in health fairs in the community, support Toys for Tots, raise funds and collect food for a local food bank, and help with a variety of other community needs. Our club also donates to the Lions International Foundation. Lions Clubs International Foundation is Lions helping Lions serve the world. Donations provide funding in the form of grants to financially assist Lions districts with large-scale humanitarian projects that are too extensive for Lions to finance on their own. The Foundation aids Lions in making a greater impact in their local communities, as well as around the world. Through LCIF, Lions ease pain and suffering and bring healing and hope to people worldwide. Grants provide both immediate assistance following natural disasters and long-term disaster relief for reconstruction efforts. Grants help preserve sight, combat disability, promote health or serve youth. 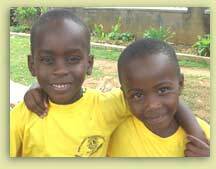 Every dollar donated to LCIF goes toward a grant. Lions support is crucial as donations from Lions provide the majority of LCIF's revenue. LCIF receives a small amount of funding from foundations and corporations. It receives no club dues. LCIF is truly Lions helping Lions. Over the last 10 years, LCIF has provided US$100 million for disaster relief. Learn more about LCIF online at www.lcif.org.